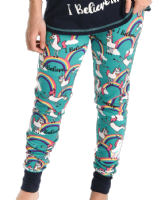 I Believe ...Unicorn is a combination of colour and comfort with the rainbows and unicorns covering these pyjama leggings by Lazy One®. 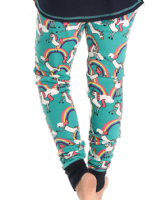 These pj leggings are super comfortable for sleeping and lounging. 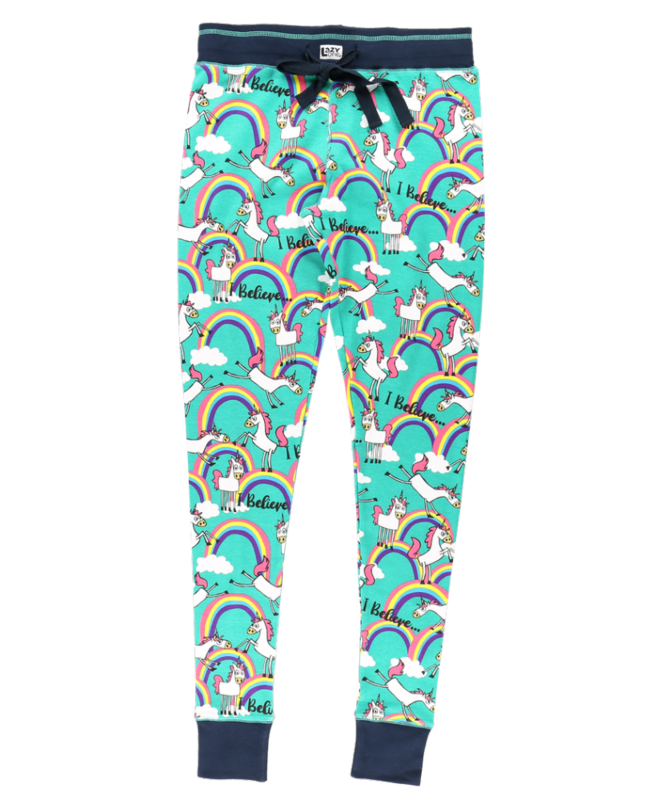 Pair these up with our I Believe ...Unicorn pj t-shirt (sold separately). Thick waistband and drawstring for adjustable comfort.